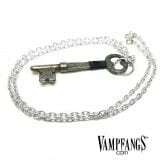 Authentic, antique skeleton key necklace. Comes with hand wrapped accents in red or black. 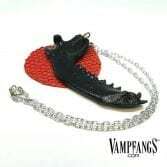 Part of the Vampfangs Collection by Dark Alchemy. Handcrafted, ethically sourced muskrat skull necklace. 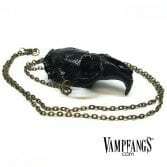 Comes hand-painted in bronze or black. Part of the Vampfangs Collection by Dark Alchemy. 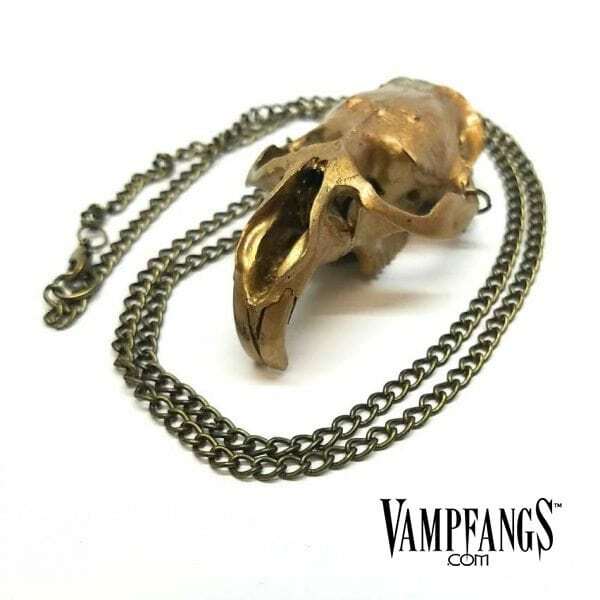 Handcrafted, ethically sourced raccoon jaw bone and fish leather necklace. 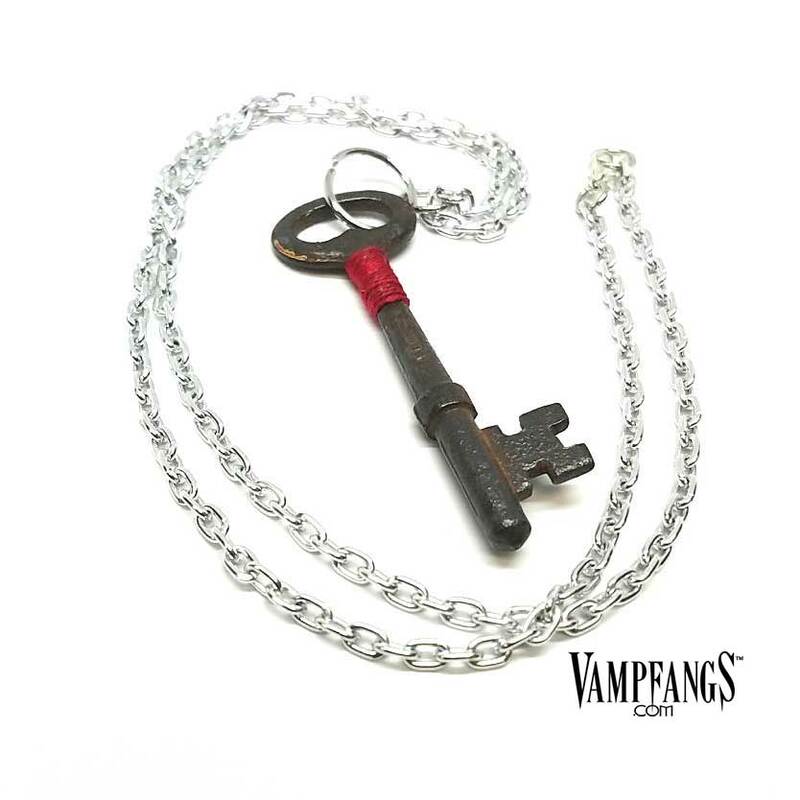 Comes hand-painted in 2 color combinations. 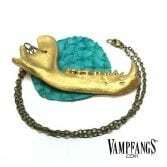 Part of the Vampfangs Collection by Dark Alchemy.